I got through my first day of my liquid diet. Again, this isn’t so much of a cleanse but rather a three day long no chewing event. I want to give my tummy a break from digesting hard to digest foods and let the liquid foods do their job and move on through my body. So yesterday I had a simple protein powder mix. It was actually kind of gross. I hadn’t gone shopping to make any kind of smoothie, so it was just vanilla protein powder and water. But it filled me up after my 30 minute run. I am drinking coffee–a direct quote from my dad yesterday “I wouldn’t want to be around you if you were hungry AND under caffeinated.” So for others safety and job security I had a coffee with a bit of milk in it. Next door to the shop I work at is a raw juice bar (convenient, right?) so around 1:30 I went and got a Ginger Zinger. 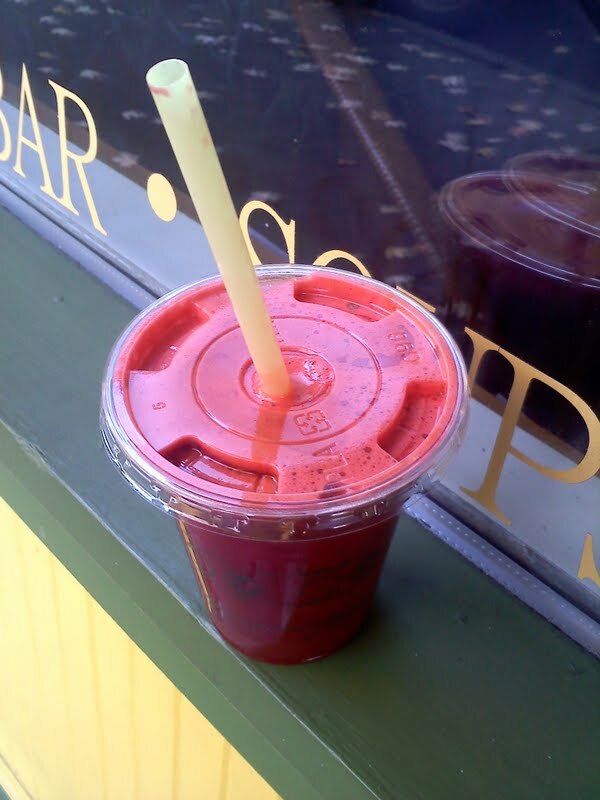 It was a blend of an orange, beets, carrots, ginger, and some other good stuff that I don’t remember. It actually tasted great and filled me up!! 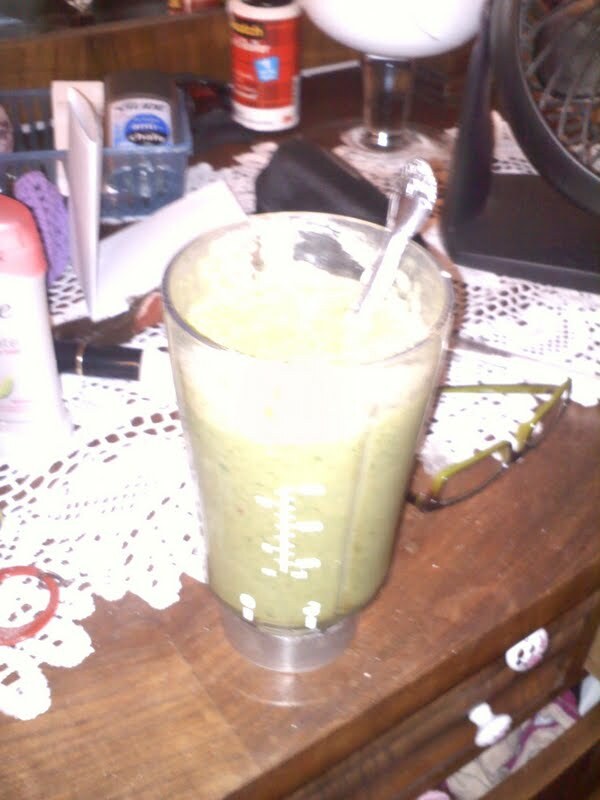 For an evening fix I blended a banana, lots of spinach, soy milk and a bit more protein powder. Super filling and tasty. THEN, unexpectedly I was invited to go for coffee in the evening, however in a little town like this coffee shops are not open late so we went and got frozen yogurt instead–I got a mix of different flavors and just didn’t put any of the crunchy yummy toppings on it! Not part of my three day plan, but when you also want to have some sort of social or dating life you have to roll with the punches and not say ‘no’! Haha. So I’m clearly not starving myself. I’m guessing I’m getting around 1000-1200 calories. I did run, but not far. I think I’m going to not run tonight, maybe do some strength exercises tonight after work.